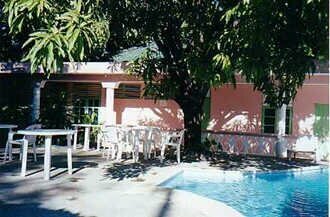 The Portofino Guest House is set amidst lush landscaping in a quiet residential area. 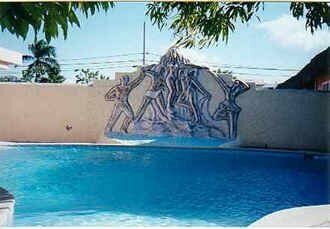 Located within walking distance of the Malecón, restaurants, bars, and nightclubs. Rooms feature cable TV and air conditioning. In addition to the popular Portofino Pizzeria, the property features a large custom designed pool area and a separate park for children.